Plans drawn for extensions, renovation and conversions prepared on a computer aided design system (AutoCAD). I am able to provide a service to individuals and building and architectural companies. This service would typically include client consultations, preparing technical drawings of the proposed works and building construction specifications, submission of plans to Local Authority for approvals under the Town and Country Planning Act, the Building Regulations and listed building consent. Plans also drawn to Land Registry compliant standards. E-mail me now! to discuss your architectural drafting design needs. Send your e-mail and i'll be happy to return your questions by e-mail. Semoga kita sama-sama dapat mengambil manfaat dan menambah ilmu yang sedia ada khasnya dalam penubuhan TADIKA. SUSUNAN KERTAS KERJA & DOKUMEN PERSEDIAAN INSTITUSI PENDIDIKAN SWASTA TADIKA. 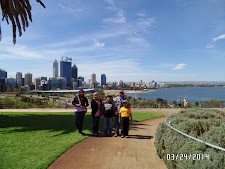 Visit To Perth, Australia...Go Perth ! !